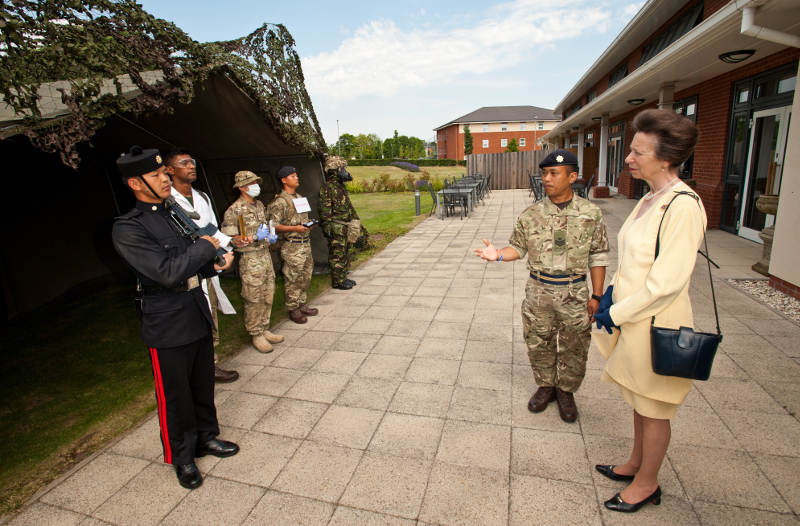 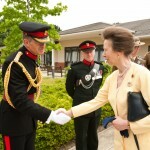 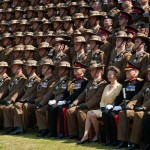 On Wednesday 1 July 2015, 10 The Queen’s Own Gurkha Logistic Regiment (10 QOGLR) was honoured to host Her Royal Highness, The Princess Royal at St Omer Barracks in Aldershot. Her Royal Highness visited the Regiment in her capacity as Colonel in Chief of the Royal Logistic Corps (RLC) and Affiliated Colonel in Chief QOGLR and was welcomed to the Regiment by Maj Gen ASJ Fay (Col QOGLR), Col DN Corrie (Col RLC), Col JG Robinson (Col Brigade of Gurkhas) and Lt Col PMK Beaumont (Commander 10 QOGLR). 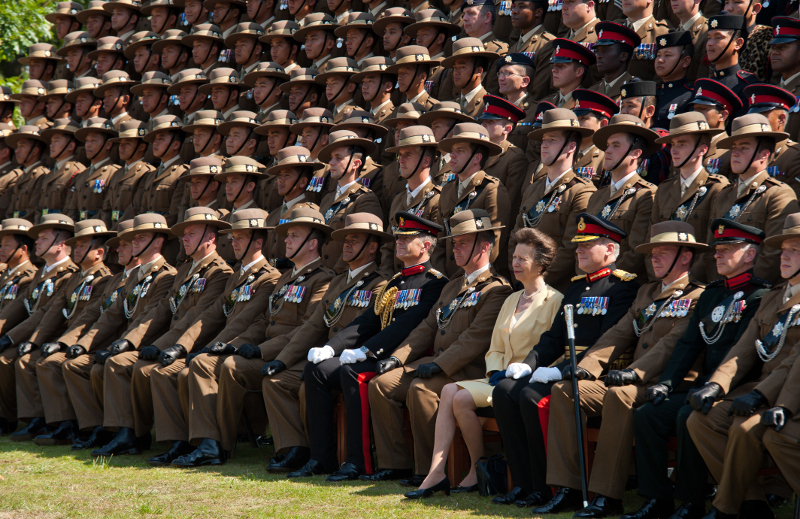 The visit centred around three main themes; the response to April’s devastating earthquakes in Nepal, the Regiment’s support to the Ebola Outbreak in Sierra Leone, and the celebration of 200 years of Gurkha Service to the Crown. 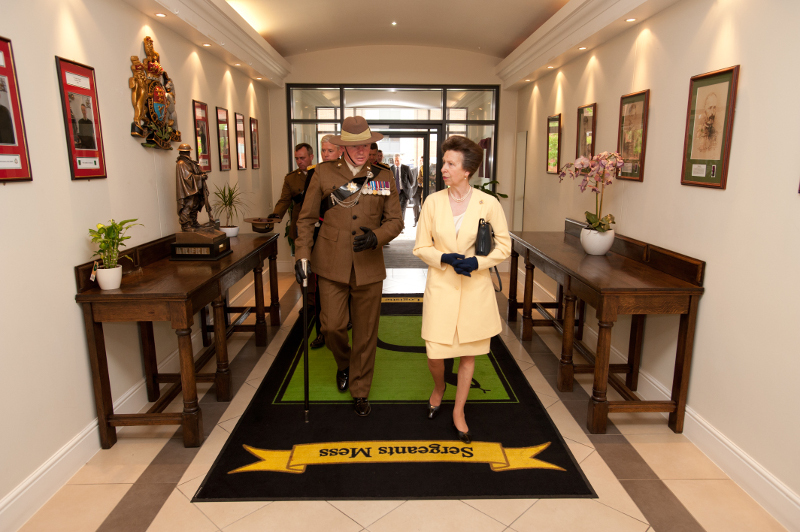 Hosted in the Officers’ Mess, the Gurkha Temple and the Warrant Officers’ and Sergeants’ Mess, Her Royal Highness was introduced to about a hundred members of the Regiment and their families to share stories of the significant events and achievements of the last twelve months. 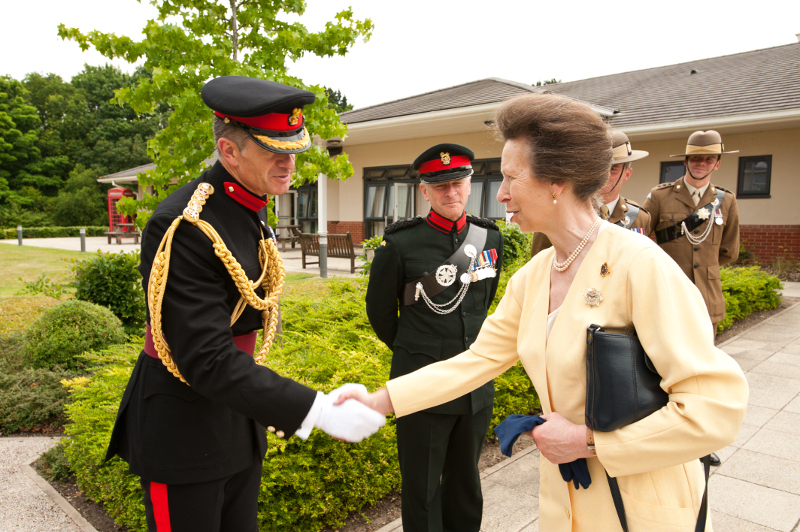 The visit concluded with a Khukri dance, a display from the Regimental Pipes and Drums and the presentation of a specially commissioned brooch of the QOGLR Capbadge.